Your uncle is the best uncle ever. 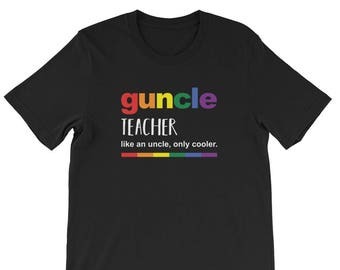 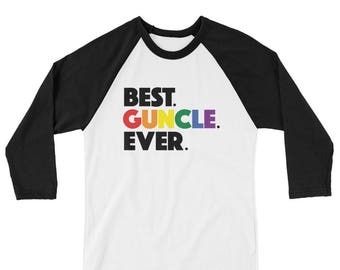 Show your gay uncle some love with this rainbow pride Guncle mug. A great gift from any niece or nephew. Got a gay brother your kids love? 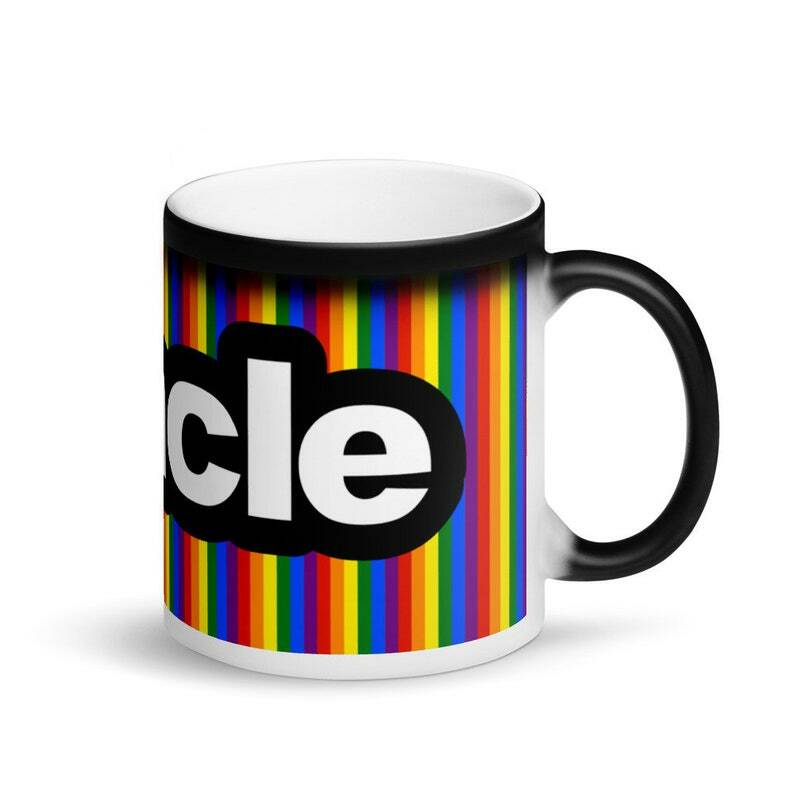 Get him this mug to start every day with a magic reminder from his niece or nephew! A great gift for a birthday, Christmas, or when that new niece or nephew is born. 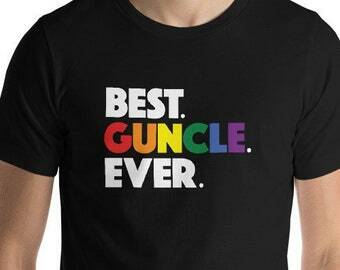 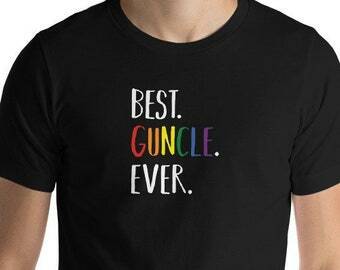 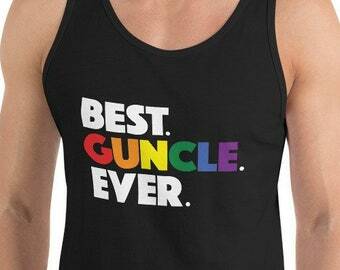 Make any gay uncle know he's the best uncle ever with this fun gift.